If you or someone you know needs help stopping prescription drug abuse, we can help. Call us at 1-888-319-2606 Who Answers? to learn about the benefits of prescription drug recovery center. 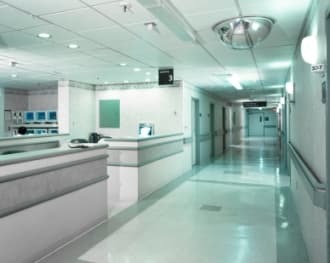 Recovery from a prescription drug overdose begins at a hospital, where the patient will be placed on an intravenous drip to deal with dehydration and placed on life support to stabilize breathing if needed. If necessary, doctors will administer medications designed to counter the effects of the prescription. You may need to answer questions about the person’s lifestyle or where he or she got the prescription for medical purposes. If you and the doctors suspect abuse, the patient will need to be referred to a recovery facility. After recovering from prescription drug overdose and placed into a rehab and recovery center, the person will need to undergo detox. Even though the danger from the acute overdose may have passed, enough of the drug can remain in the body to cause cravings. Only fully eliminating or tightly regulating the patient’s access to the prescription drug will enable him to get past the dependency. Frequently, less addictive or longer-acting medications are substituted to regulate the brain’s chemistry while the addictive compound is purged from the body. Talk with the staff of the care facility to determine the procedures they follow when watching a patient detox. They should be kept under close observation at all times to watch for withdrawal symptoms and other complications. Recovery from prescription drug overdose also involves therapy. People who turn to drugs don’t do it on a whim; there are other motivating factors. A stressful home or work life might drive the person to take prescription opiates or other drugs to experience the high. 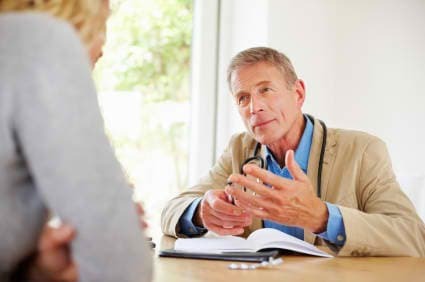 Cognitive behavioral therapy is one method of counseling; it involves teaching the patient how to mentally approach stressful situations and deal with them constructively rather than panicking and turning to the drug to cope. It also teaches how to deal with cravings or relapses if they occur. When choosing a facility for recovery from prescription drug overdose, you need to consider finances and location first. Higher-end treatment centers will obviously cost more, but they may offer a payment plan or an adjustable fee based on the person’s income. Location is another factor; if the patient’s home environment creates negative emotions, it may be contributing to the drug habit. Therefore, leaving harmful influences behind may be necessary so the patient can learn healthy alternatives. Also consider the length of treatment. Treatment can last anywhere from 30 to 90 days or even longer, depending on the person’s needs. Employers or school officials may need to be informed. Prescription drug overdose treatment also involves speaking with a medical professional about alternate medications for pain if the person is abusing his or her own prescription; however, this is not always the case. 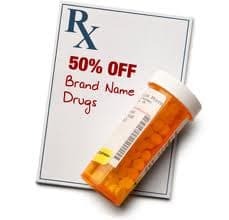 According to a 2009 study, over 70 percent of people who abused prescription painkillers got them from a friend or relative.2 Therefore, family counseling may be necessary to educate everyone on the dangers of abusing prescription drugs. No matter how deeply entrenched you are, or your loved one is, in the habit of abusing prescriptions, there is always hope for recovery after surviving a prescription drug overdose. Seek help before someone dies or is permanently affected by an overdose. Call us today at 1-888-319-2606 Who Answers? to learn about how we can help you find a prescription drug overdose recovery center that is right for you.
. Substance Abuse and Mental Health Services Administration (2010). Results from the 2010 National Survey on Drug Use and Health: Summary of National Findings, (NSDUH Series H-41, HHS Publication No. (SMA) 11-4658). Rockville, MD.
. Substance Abuse and Mental Health Services Administration. (2010). Results from the 2009 National Survey on Drug Use and Health: Volume I. Summary of National Findings (Office ofApplied Studies, NSDUH Series H-38A, HHS Publication No. SMA 10-4586Findings). Rockville, MD.